Trying to figure out how to make money from home isn’t easy. If it were, hardly anyone would choose to wake up to an alarm and commute two hours to and from work every day. Offices would be a thing of the past and the laptop lifestyle would be the norm. Even though more and more people are learning how to make money from home, the trend hasn’t yet completely taken over. This is partially because people who want to make money from home inevitably have to navigate the cyber minefield of get-rich-quick schemes and fake money-making scams. 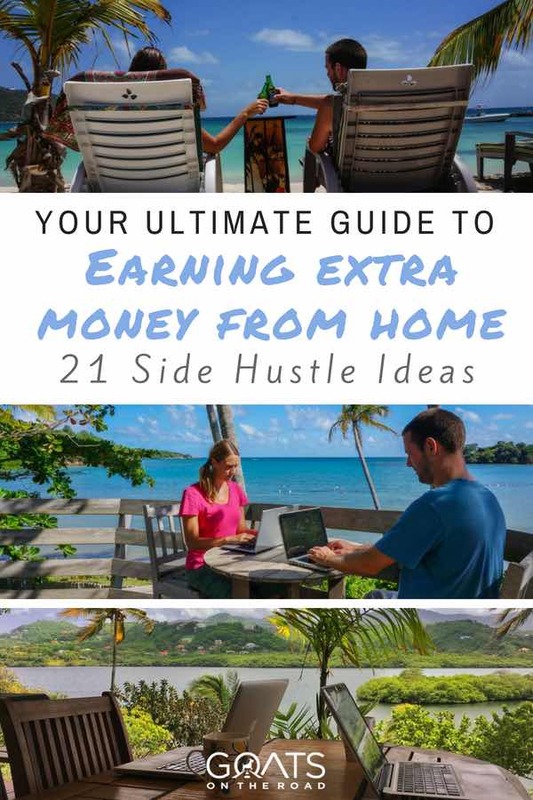 We’ve personally tried dozens of side hustles, and when we were writing our book of 101 Best Travel Jobs, we interviewed countless people who have figured out how to make money from home by picking up a side job. We’ve already written about online jobs that can earn thousands per month and how to get paid to write online as a freelance writer, but those posts were more focused on working while on the road and getting paid to travel. But what about people who are at home right now, trying to save money for travel? This article is all about how to make money from home and how to make money online so you can work in your pyjamas (when possible) and make some extra cash on the side of your day job. In this post, I’m not going to share any jobs that you can’t actually get. I’m not going to pretend that any of them will get you rich and I’m not going to say you have to do all of them in order to earn money. 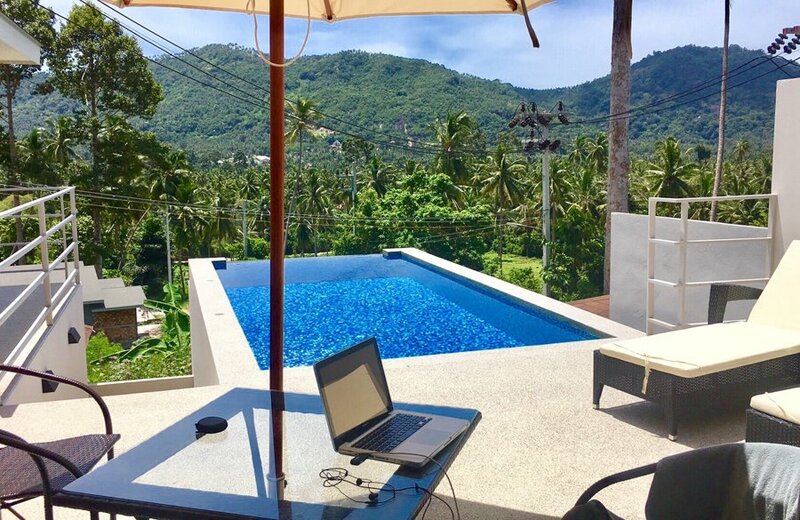 Looking for remote work? FlexJobs is one of the leaders in the industry, sourcing jobs in over 50 career categories – all of which are handpicked and screened for legitimacy. Sign up for FlexJobs today and use promo code NOMAD to save up to 30% off. Or, click here to learn more about FlexJobs. Why Make Money From Home? Before we learned how to make money from home, we were working long shifts at jobs we didn’t enjoy. Dariece worked at a law firm and I spent time both working on oil rigs and working in a plastic packaging plant. The shifts were long, we hated the commute and despite earning a decent living by Canadian standards, we had a hard time getting ahead. 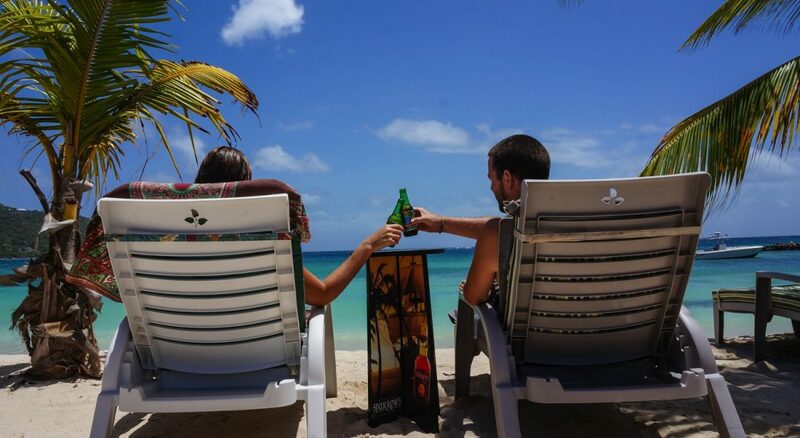 Fast forward 10 years and we’ve quit our jobs and are earning more than double what we were, but now we only make money from home, we travel all year round and we only work around 20 hours per week, maximum. We take holidays when we want, we wake up when we want and we aren’t stuck in traffic every day. Our home office is now wherever we choose to be. 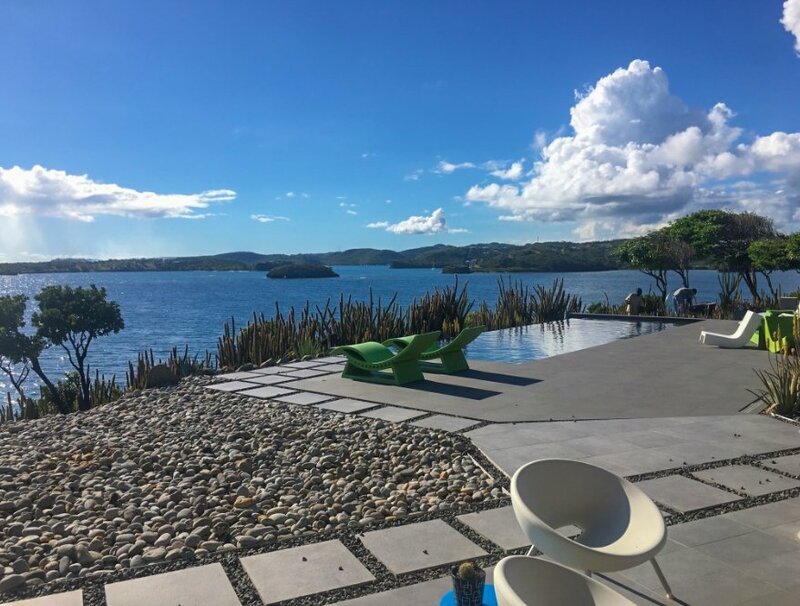 Currently I’m writing this post from a beach house in the Caribbean, looking out over our pool and onto the sea. I’m not saying this to brag. 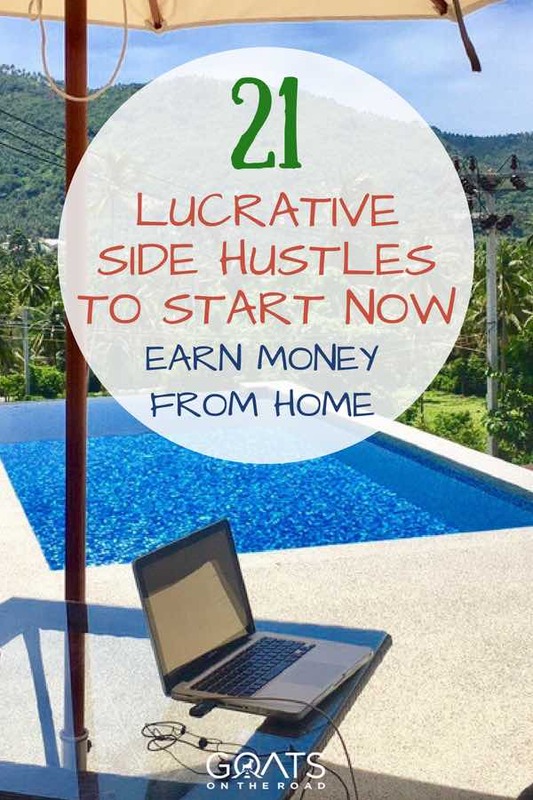 I just want to show that it’s possible to earn money from home and actually turn the lucrative side hustles that I list in this post into a full-time income. 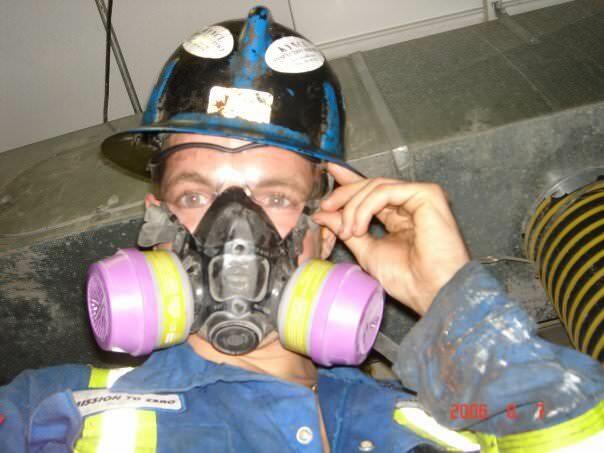 Me at my previous job. I would never go back. In this post, I’m going to list only the jobs that I know are legitimate, and that I know can earn real money. Probably the most lucrative way to earn money from home, blogging can open up countless doors to money-making potential and is a fun way to practice writing, marketing and photography. We started this blog in 2012, without the slightest knowledge of blogging and today it earns as much as $20,000 per month through advertising, affiliate marketing, product sales and sponsorships. Of course, in order to earn that much we’ve had to work around 20 hours per week on our blog, making it more than a side hustle, but it is possible to earn a few hundred dollars from a new blog in less than a year. If you can build your audience to 25,000 monthly page views (quite easily done in under a year if you know what you’re doing), you can place MediaVine ads on your website, just like the ones you see on this post. With 25,000 page views you’d earn around $480 per month from those ads alone, and that’s not even taking into consideration other ways you can earn money through your blog. This is definitely not a way to get rich quick. You’ll have to publish a couple of articles every week and market your blog so that you can boost your blog traffic. But it is possible to earn money after just a few months. Click Here to start a blog and get our 4-Part Video Beginner Blogger Course and 200-Page Beginner Blogger ebook for free. These in-depth tools will show you how to grow a blog and monetize it so that you can earn money from home as a blogger! The best part about blogging is that you can blog about pretty much everything. If you love travel (like me), you can blog about travel. Or you can earn money by blogging about parenting, DIY, cooking, dogs, or pretty much anything else you can think of. In my opinion, if you want to figure out how to make money from home, starting a blog is the single best way to turn online work into a full-time income. I think everyone should have a blog as an outlet for their creativity, a way to share their knowledge and a way to create viable and reliable income stream from home. 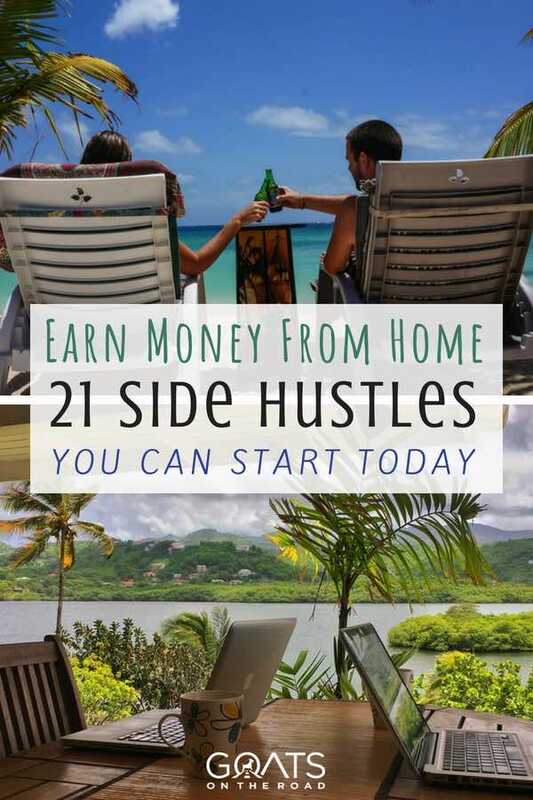 This is probably my second favourite lucrative side hustle that you can utilize if you want to learn how to make money from home. Teaching English online can actually be quite lucrative. To start, you’ll need to get TEFL certified, which is quite easy and doesn’t take too long. 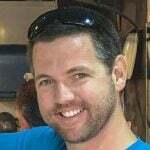 MyTefl has a great 120 hour course that you can do from home. Once certified, we recommend becoming a VIPKID teacher. This is one of the best services available online and jobs can pay as much as $22 / hour. To get a job with VIPKID, you’ll have to apply, fill out an application and pass an interview, but once you do that you can easily find work on the platform. Unfortunately the service is currently only for people living in North America, so if you’re looking for a more global network, consider Cambly. Want to learn about more ways to teach English online and earn money from home? Click the link. As a traveller, I’ve used Airbnb many times to find a well priced apartment while on the road, but I also have quite a few friends who are earning a nice living from renting out their spare room or a second property. A few of our friends in the UK earn a lot of money by doing this and it’s a great way to make money from home. Depending on where you live (and your financial situation), you could even purchase a second apartment just to rent out on a nightly rate on Airbnb. Because the nightly rate is so much more than a long-term rental, most often you can pay off the mortgage and end up with as much as $1000 / month in your pocket. These two companies have taken over the rideshare world and have changed local transportation as we know it. But they’re not just convenient for those who want to get from point A to point B in a car, they’re also great ways to earn money from home… well, from the road. There are plenty of delivery services available these days that make it easy for pretty much anyone to earn money from home. With services like Door Dash and UberEATS you can earn money from home (or from your motorbike) on your own schedule by delivering take-out orders in your town. Some people have earned as much as $4,000 / month ($24 / hour) by working a delivery, but if you’re doing it on the side of your full-time job, you can probably expect a few hundred extra bucks in your pocket each month. Many companies will pay internet users to complete their surveys. Internet surveys offer businesses and advertisers useful data to help them understand their potential clientele. If you Google: “get paid to complete surveys”, you’ll probably get a thousand results. Unfortunately, many of these results are complete scams, so you do have to be careful when taking paid online surveys. Okay so mowing a lawn doesn’t sound like a very luxurious job for an adult, but if you have a bit of experience in lawn care and yard work, you can actually earn a pretty good living in your local neighbourhood. Offer to not only mow lawns, but do the jobs that the young kids in the area can’t safely do themselves, like trimming hedges and using power landscaping tools. Many people will be happy to pay $20 for someone to come and work on their yard for an hour. Get a few of these jobs and the income can quickly add up. If you love the outdoors, but you still want to learn how to make money from home, then landscaping may be perfect for you. According to Wrapify and Carvertise, you can earn up to $450 a month by wrapping your entire car in advertising. They offer a pretty unique service, but it can be a really simple way to earn money. Earnings depend on the amount of advertising you place as well as the routes you drive and how many people are likely to see the ads, but an extra $450 per month for looking like a 4-wheel billboard is a pretty good deal! To get started you’ll have to download the app, then meet the minimum driving requirements in a month. Once you pass, you’ll see your earnings tick up every time you have the app running while you’re behind the wheel. Want to learn how to make money from home and love to drive? Why not get paid to drive around your city? With services like HyreCar, Drivy (UK) and GetAround allowing people to list their cars on a rideshare type platform, there’s no reason why you can’t earn a bit of extra money from your vehicle. Even if you don’t have an extra car parked in your driveway, you can simply rent out your car for the hours you’re at work. Your car will be automatically covered by insurance, the drivers are screened to have a good driving record and top earners make thousands of dollars per year. If you don’t mind letting someone borrow your car for a while, then this is a great way to make money from home. Because most of these companies are only currently available in major US cities, I don’t think this is the best income stream for those new to learning how to make money from home, but if you fit the bill, it can be quite lucrative. Becoming an adult “babysitter” doesn’t have a particularly lucrative ring to it, but in all reality you can make a good living by offering child care services on the side. 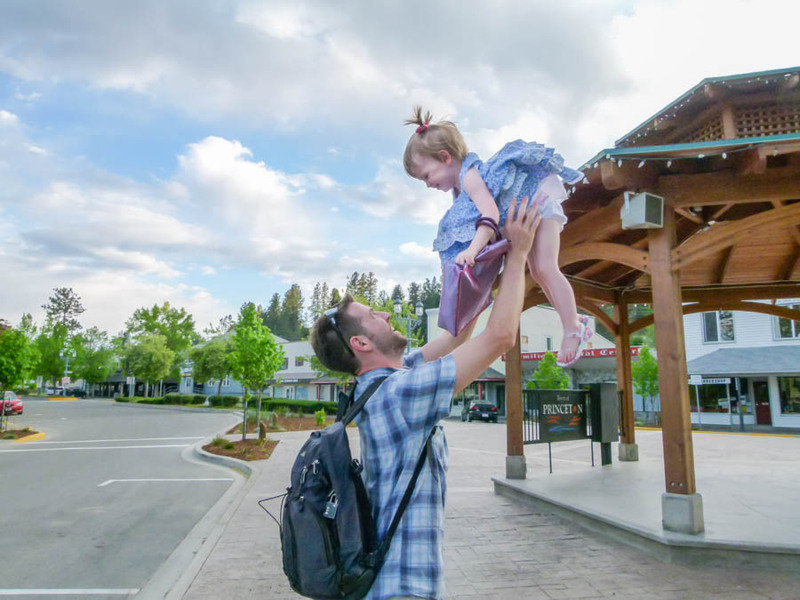 According to Care.com’s study, the average hourly babysitting rate in San Francisco, for example, is $16.65, compared to the national average of $13.44 an hour. In practice though, there are many child care jobs available that pay $18 / hour or more, and if the parents are okay with bringing their children to your house, you can have multiple children at once, bringing up the hourly pay considerably. To find work, you can post up flyers in schools and playgrounds explaining your services, speak to friends to spread the word, and advertise on Facebook. Be sure to list your available hours in the flyer. Because you’re doing this as a side hustle, it’s important that the parents know that you’ll be busy throughout the day and you’re not running a day care. We’ve personally made a few hundred dollars per month selling products on Amazon and it’s a great way to make money from home. If you’re not into creating physical products, consider creating a virtual product like an eBook or an online course. Click Here to set up an account on Amazon and start selling your products and services. Once you have a few products available on your Amazon store, you may want to consider starting a basic website and advertising it on Facebook to see if you can get some more traffic to your pages and earn more money. We’ve paid VA’s as much as $1500 per month for their work on this website, so we know that it can be a lucrative side hustle. Depending on your skill set, you may earn up to $15 / hour for your work and in most cases the jobs are quick and easy to learn. Pretty much every website owner and blogger has a VA these days, so there is plenty of work available. Try finding work on FlexJobs, SolidGigs, Fiverr, or joining a blogging community on Facebook and posting your services there. When we were first figuring out how to make money online, we started with some VA Pinterest work and it became so lucrative that we still manage some accounts today. Etsy is the world’s top online platform for selling arts, crafts and handmade items. The top earners on the platform make as much as $70,000 per month, so yes… it’s a lucrative side hustle. But you really have to know how to grow a store and market it in order to make money on Etsy. You’ll have to research your competition so that you can properly price out your products, then you’ll have to market them by setting up a Facebook page and rocking social media. Once your shop is online, check out Etsy’s seller handbook and consider joining a team to help you learn the basics from other shop owners. You’ll need to learn how to take appealing photos of your items and how to write your shop description so that people will be inclined to buy from you. For those who are creative and want to learn how to make money from home, this is a great option. If you are an expert in a field, then you can take advantage of enormous online learning platforms like Teachable.com to expand your brand and get more work. 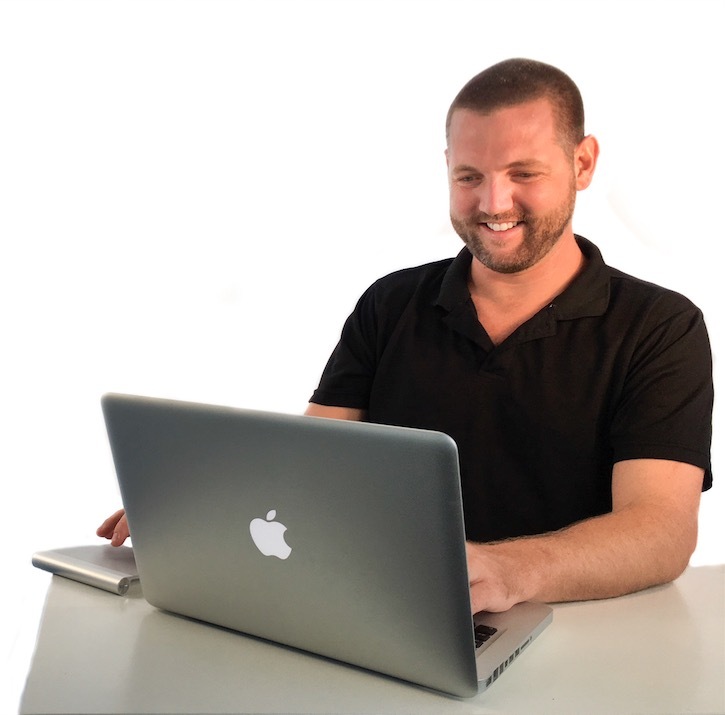 Some of the top coaches and online course creators are earning over a million dollars per year, so this is another highly lucrative option. But your courses aren’t going to sell themselves. While Teachable does a great job of displaying your courses the a relevant audience, you’ll still need to market your services in order to earn money. The best way to do this is by starting your own website and growing it so that you can sell your courses directly on your own site. I have a Beginner Blogger Course for sale on our site, and while we don’t earn much money for the course directly because we give it away for free when people start a blog through this site, we have made over $6,000 / month indirectly from the course through affiliate sales. Drop shipping is another great way to make money from home. Basically drop shipping is a very low risk way to start up a business selling products online. Traditionally if you wanted to do this, you would have to create a product, market it, store it in a warehouse and ship it out yourself, while having to deal with refunds, returns, etc. This was a lot of work and the investments involved would make it unattainable for the average Joe or Joanne trying to earn money from home with a side hustle. Click Here to check out a great list of drop shipping suppliers that can help you get started. When figuring out how to make money from home, one of your main concerns should be the ease of starting the new venture. Because drop shipping requires a bit of planning and research, it may be a bit harder to first get into if you don’t have previous experience with manufacturers and ecommerce. This is definitely one of my best ways to make money from home. Dariece and I have written for some smaller travel publications like Travel Pulse and WiseBread, as well as some larger ones like World Nomads. At the peak of our freelancing careers, Dariece and I were earning around $3,000 / month from writing for other sites. 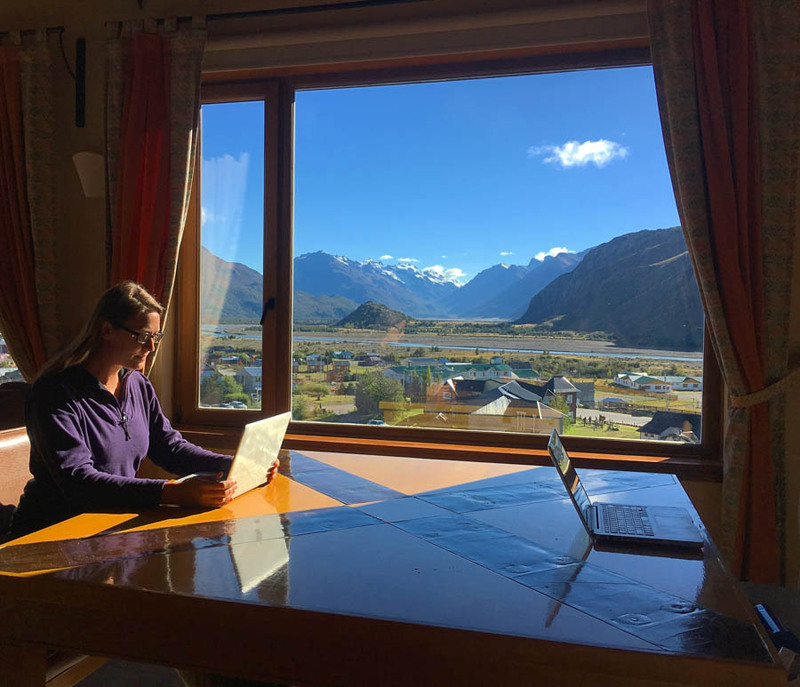 We’ve since slowed down our freelancing, not because the jobs weren’t available, but because we’ve found better ways how to make from home (this travel blog mainly). If you’re looking for a job as a freelance writer, check out this list of 99 websites that pay freelance writers. I guess by the very nature of house sitting, you’re not going to “make money from home” because you’ll have to stay in someone else’s home. But this is actually a great way to not only make money, but save it on accommodation costs. While we were figuring out how to make money from home, we saw pet sitting as the ultimate job. It gave us the opportunity to lower our cost of living by getting a free car and free accommodation, and it allowed us to work on our online business (this blog). We’ve usually just used house sitting as a way to get free accommodation, but there have been times that we were paid. In Canada, we know a person who earns $1000 per month for house sitting, meaning they get free accommodation PLUS a thousand bucks a month! That’s a pretty great deal. Considering the average 2 bedroom apartment in Canada will cost around $1,200 / month, the savings and the income combined adds up to $26,400 per year. If you don’t mind spending your time in someone else’s home, this is a great way to make some extra money on the side. Another option is to be more of a pet-sitter than a house sitter, through the same platform. Since you most likely don’t work on weekends, consider taking weekend pet-sitting jobs where you stay in someone’s home and care for their dog, cat, bird, fish, etc. while they are away. Want to learn how to make money from home? Do you know multiple languages? There are plenty of websites and apps that will help you turn your skills as a polyglot into an excellent way to make money from home. Websites like Gengo, Tranlate.com and Unabel are a great place to look for jobs and start earning money. According to Gengo, the average English translator earns $417 / month and you can choose your own hours making it a great side hustle. Are you passionate about your home town and know lots of cool places to take people? Why not run your own tours? With plenty of online tour sites like Vayable.com, ToursByLocals.com, Shiroube and Rent a Local Friend, it’s never been easier to earn money as a local tour guide. Typically you’ll have to sign up for the platform and create a tour itinerary and you may not get a lot of work at first, but as you get more and more people leaving you 5 star reviews, you may find that you become very busy. The pay schedule depends on what site you go with, but typically the website will take a percentage of your overall tour price. For example, Rent a Local Friend charges a $100 annual subscription, which allows you to be featured on their site and helps you with getting the word out about your tour. Travelers pay 30% of the tour price on the site and 70% to you at upon completion of your tour. So, if you charge $300 for the day, the client will have paid $90 on the Rent a Local Friend website, and your payment is the $210 you collect at the conclusion of your tour. Many tours on the website are going for around $300 for a full day tour, so if you’re profiting $210 by the end of each tour and your day is 8 hours long, you’ll be earning over $26 / hour. 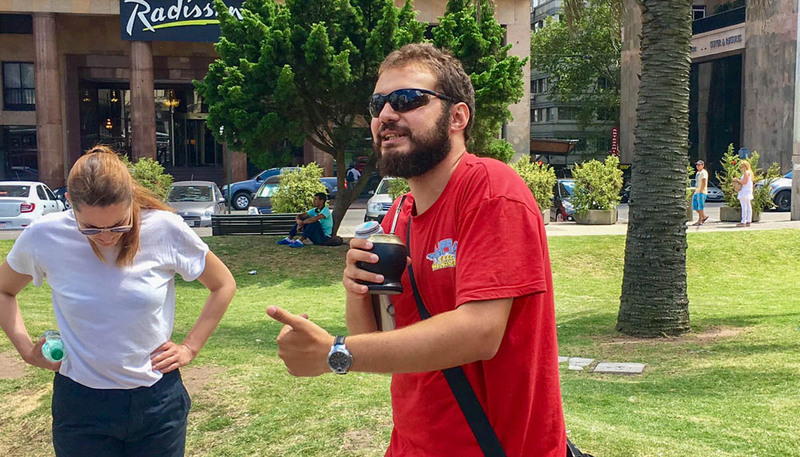 If you’re tour guiding as a side hustle, then you’ll probably only do it on weekends, but if you can manage a tour on both Saturday and Sunday, that will be an extra $1,680 in your pocket by the end of the month. Teaching proper classroom yoga will require you to become certified as a yoga instructor, but you can sell your services on Teachable.com even if you’re not certified. I do recommend first getting certified, to help get more jobs, but if you’re a great teacher and people like you, you’ll still be able to earn money from teaching yoga. The best way to go about it is to first get certified and then create your online yoga course on Teachable. You may also want to create your own website for your yoga school and post the videos there, only available for premium purchase. Yoga websites can be very profitable and you’ll be earning money from home while helping people to live a healthier, happier life. If you don’t want to use the Teachable platform, you can also create your own YouTube channel and request that people sign-up for Patreon in order to access your premium classes. This way you can earn more money for your classes, directly from your students. Alternatively you can start your own yoga website and then embed private YouTube videos there, only accessible for your paying students. Pretty much anything you’re passionate about can be turned into a side business, you just have to be creative and learn a bit about marketing. If you enjoy baking, sell your cupcakes. Love crafts? Sell them. Enjoy writing? It’s never been easier to sell books as it is today with sites like Amazon. You can easily create your own website in any niche using our free course and 5 minute set-up guide and within a few weeks you could have your own cyber storefront. Even if you don’t want to start a website, you can utilize social platforms like Facebook and Instagram to take photos and share your products with millions of potential customers. Spend a little bit of money on advertising on Facebook and you may find that you can be profit positive, meaning the more you money you spend on ads, the more you make through sales. I believe that the key to being truly happy is to never work for a living, but to live for a living. If what you’re doing for work, truly makes you happy, inspires and fulfills you, then you won’t be spending 40 hours per week wishing the clock would move faster. Take what you’re passionate about and try to turn it into your lifestyle. For Dariece and I, it was travel, but these days you can make anything into a side hustle. Thanks to the popularity of blogs and the availability of sponsorships and advertising, pretty much anything you love can be turned into a profitable website, or a lucrative side business. If you want to learn how to make money from home, start taking the steps now. You don’t have to quit your job now, or ever, but you can begin building something on the side to help you earn some extra pocket cash and who knows, one day that pocket-money could turn into a full-time income. Become a Thai Yoga Masseuse and Earn Money For Travel! This kind of blog inspire me a lot. You just explained it marvellously and i am sure many people around the world would leaned from this post. Thanks for motivating us. Such a relevant post! I think a lot of people now are looking into ways on how to earn from home. This is an awesome list! Nice list! I have another to consider that I’ve been very successful with since 1981. Clean up litter outside commercial properties on foot using simple hand tools. It’s almost as easy to do as going for a daily walk! I share my experience with others as well as offer free support in my book, Cleanlots.